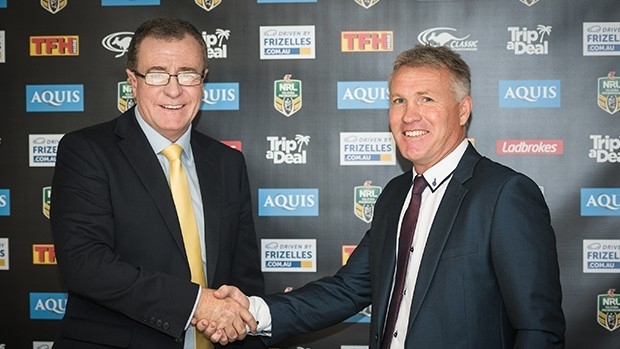 Penrith fans will welcome back some familiar faces this Sunday afternoon when former Panthers lower grades coach Garth Brennan and his Gold Coast Titans come to town. Usually a match-up between the Panthers and Titans wouldn’t create a ripple of excitement amongst the fanbase, but things will be very different on this occasion. Not only do the Titans have former Penrith mentor Brennan as coach but they boast a huge number of former players including Bryce Cartwright, Leilani Latu, Mitch Rein and Michael Gordon. To make the game even juicer, Panthers five-eighth Tyrone Peachey will also come up against his future club for the first time this season. 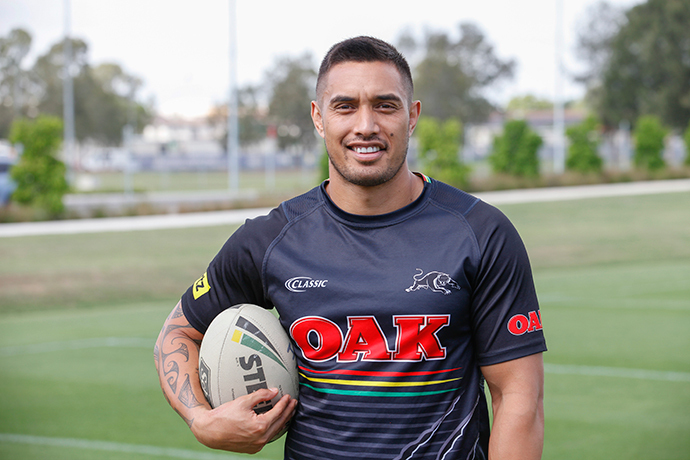 Speaking with the Weekender on Tuesday, Penrith backrower Corey Harawira-Naera isn’t quite sure what reception his former teammates, in particular Bryce Cartwright, will receive from passionate Panthers supporters on Sunday. “I wouldn’t have a clue… I think they’ll support him, they should be happy for him. He played well for the Titans last week,” he said. 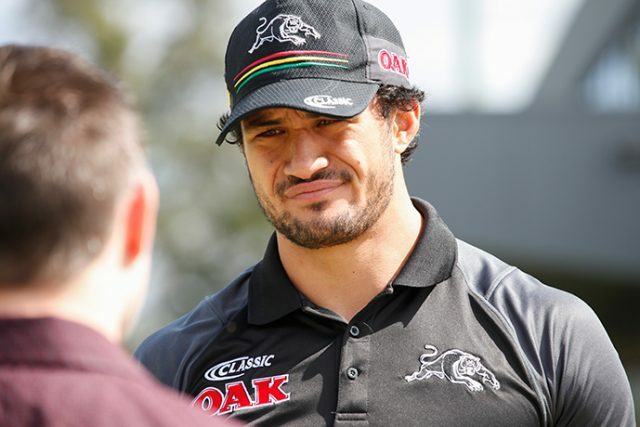 Penrith centre Dean Whare was also unsure when asked how the crowd will react when his former teammates return to Panthers Stadium. “I wouldn’t have a clue… everyone left on pretty good terms,” he said. The Titans are currently sitting inside the top eight, with three wins and two losses to their name. They enjoyed a strong victory last week, defeating Manly 32-20 in Gladstone. Harawira-Naera said he’s been keeping a close eye on the Titans this season. “I’m not really surprised they’ve started this well,” he said. This Sunday’s match will be a danger game for Penrith. While all signs point to them being clear favourites, Brennan will be out to expose any weaknesses the Panthers may have. “He’s got ‘half’ our team up there playing with the Titans now and I’m pretty sure they know how we like to play,” Whare said. “I think Brenno will be trying to get his boys up for this game as well seeing as some of them come from here,” Harawira-Naera added. “We know it will be a tough game, it will be a war in that first 20 minutes.